TTP attacked a school in Peshawar, so far 100 killed, at least 84 of them children. The operation is still ongoing. At this time our thoughts and sympathies should be with families of the deceased. In time we will wipe out the scum who did this and all those who support them. What is the current status ? 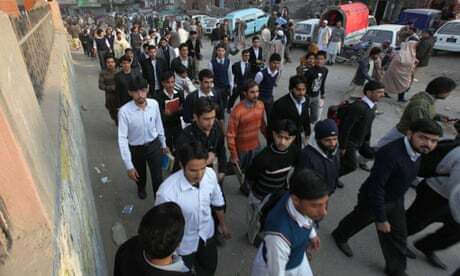 India strongly condemned the suicide attack by the Tehreek-e-Taliban on an army-run school in Pakistan’s Peshawar on Tuesday, which brutally killed over 130 innocent children and left over 80 wounded. Prime Minister Narendra Modi tweeted, “Strongly condemn the cowardly terrorist attack at a school in Peshawar." I cannot think this particular act could come from merely misguided individuals, to attack unarmed children in schools require a special kind of thinking evil. Someone thought about doing something horrifically evil and this was the result of that. I hope we can get our act together soon. And I hope those who are behind this pay. Not just the puppets but the puppet masters also. It doesn't get that deep. Sick twisted people kill children all the time. Look at US high school shootings, read about the Dunblane attack in Scotland. This was the same sick TTP we face every day and must eliminate entirely. The operation has finished, 130 dead so far, all attackers killed. All my duhas for all children and teachers who lost their life. All my duhas for parents. I hope now That everyone understand when i said we have to support Army even if it made some mistake. This is one of the most horrific incidents in Pakistan. People of Pakistan need to realize the priorities,face the truth and make objective decisions. I home we realise that we cannot support the taliban no matter what. Hope tge army steps up operations. What support these idiots has vanished. Let me start by saying how sad this day is. I'm angry and very aggrieved. I grief for the little angels and their families. May Allah give them strength and patience. I have said it a million times before on this forum and I'll say it again. Defeat the scourge of terrorism internally and externally across the border. Stop receiving US money to fight their war. Fight your own war with the help of the tribal folks which thankfully is already happening (Zarb-e-Azb). Take the tribal people into confidence. Also, secure the border areas. Must happen if we want to defeat this cancer. The loser policy makers in United States couldn't address the 'motivational factors' behind rising Islamic militancy and radicalism; since 9/11 they have utilized maximum fire power, economic power, intelligence and covert operations, oppression and torture, carpet bombing ... yet the likes of Al Qaeda and ISIS are on the rise ... why? My heart goes out to all the parents of those innocent poor souls. Tears! What can we do now... militarily to eliminate these terrorists and their terrorist supporters from the country? The ongoing operation might be increased one notch in intensity. Intelligence gathering in apprehending their sleeper cells and sympathizers is a difficult task. Hanging the terrorists that are already rotting in jail on an urgent basis. Alot of these terrorists are from Central Asia, Arabs. What can be done on that regard? Piggs try to justify their evil. One notch increase isnt enough... and i agree with the capital punishment. .. I say we take it even a step further... eliminate their supporters too. Why would anyone join an organisation that attacks kids. THIS IS JIHAD? These cowards can only fight kids and the unarmed. I think now the armh should show nk mercy. WHY ARE THE PICTURES OF TERRORIST FACES NOT IN THE MEDIA? Who is still protecting them? If they are not Pakistani we still need to know where they are from? Who their families are. Other siblings involved in terror networks. I still think isi needs to do more.if they are Pakistani find their friends....Why didn't they report then. We are too soft on these vile specimen. Question remains what should pak do? 1. large military sweep of all north waziriztan... destroy all camps and destroy houses of those who supprt these terrorists. 2. Build a fence accross afghanistan. 3. Close down all non-registered maddrasas. Operation is already underway, possiblity of hot persuit into Afghanistan. Looks like they're finally taking this seriously. Pak zindabad!... im really happy how the nation is pulling together! I am hearing of reports that a Pakistani military operation is in full swing and that Raheel Sharif flew to Afghanistan to close the border quickly. It is going to be a test for Afghanistan and the new PM to see how strong the will is to improve ties with Pakistan. Quite honestly, I was not able to sleep the whole night thinking about those children that layed their lives down for our beloved nation. It was even worse when I looked at my two lovely daughters sleeping right next to me and couldn't imagine them in the place of those martyrs. 1) I no longer classify TTP as muslims. They are Kafir and a national Jihad must be waged against them. Every effort needs to be made to denounce them as non-muslims and their takbirs, prayers null and void. They must be marginalized worse than Ahmedis and the other groups alike. 2) The TTP are worse than p1gs. As such, a new form of punishment must be introduced. We must make a slaughter pen which houses hungry wild p1gs. Each TTP caught must be lowered into this pen till he is ripped apart by the p1gs. There grave shall be p1g $hit!! 3) TTP has just allowed the Pakistan Army to openly and categorically target TTP families with massive aerial bombardment such that they should simply raze everything. No need for house to house clearance and slow advances. Wipe out the TTP and their scum of a family. All Pakistanis must openly support such a move and must make a national effort to wipe out this Kafir population. I do not care if this is classified as crime against humanity or even genocide. It must be done. Such should ne TTPs classification. Such should be the action. +1... -1 for wiping off their families. Eg. A terrorist's baby sister is still innocent. 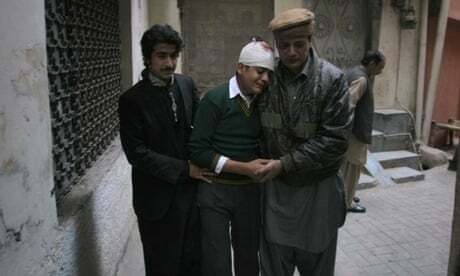 PESHAWAR: In the aftermath of deadly Taliban attack on an army-run school in Peshawar, Pakistans military launched 20 air strikes including dynamic targeting killing 57 terrorists in Khyber Agencys Tirah Valley, Army spokesman said on Wednesday. 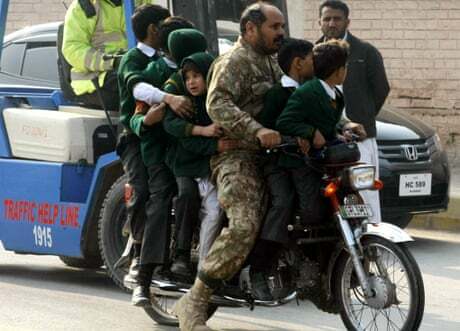 Director General Inter-Services Public Relations (ISPR), Maj-Gen Asim Bajwa said in a tweet that the fresh operation was launched after yesterdays tragic incident, in which at least 145 people mostly school children died. He said Army Chief General Raheel Sharif, who is back from a swift visit to Kabul, is reviewing the military operation in the militancy-hit tribal area of Pakistan. Maj-Gen Bajwa added that the operation was ongoing. During his visit to Kabul earlier today, Chief of Army Staff (COAS) Gen Sharif sought handover of Tehreek-i-Taliban Pakistan (TTP) chief Mullah Fazalullah, who is wanted for terrorism cases in Pakistan. The army chief shared classified intelligence details with the Afghan officials and revealed to them that the mastermind behind the Peshawar attack, who was from Afghanistan, was giving directions to the terrorists. Yes...I agree. I was just watching Ary News and Geo and I guess I just got emotional over what they were showing. It was so tragic and upsetting. If we can not kill their families at least we can take them into slavery...right? After all, they are simply going to teach their children how to grow drugs, shoot a gun, kill a man, and commit suicide as a suicide bomber. They may be better off by being in slavery where they can at least learn a better way of life. Perhaps in due time, they can be set free once the scourge of terrorism is over. im going to assume ure being sarcastic.. I remember when i got home last night and i heard the tragic News from my wife... my first reaction was ... we should drop a nuke across waziristan... but my wife reminded me of sanity. .. I actually feel ure anger... but us not not killing innocents like they do. .. makes us right, better and morally superior. Bring them to their knees. What would RasulAllah (saws) do? That's the example we all follow. I didn't sleep either, went to bed angry, woke up angry, have been distracted at work. It was horrific, but we are Muslims, we deal with every situation in the example set in the Sunnah. Spilling innocent blood might fulfil our need for revenge, but what answer will we give to Allah for what we advocated? It's so hard to tread this line, so we have to help each other along it. Move the 2nd artillery division from Gujranwala to Peshawar. reinforce with MLRS units. and utilize fully in NWA. tell USA to supply more F-16's, AH64 and M270 on urgent basis, which they wont so ditch them forever. Urgently acquire J-10, WZ-10 and Ws-2 from China and put in action. Move airborne units in NWA along with transport helis and C-130 for paradrops. Mount a ground operation but send drones in the vicinity and start dropping SSG while using artillery and airstrikes as support and paradrop infantry at crucial points to block exit for TTP. Fully man and secure durand line once in for all. Do whatever to kill them............fine. But running out gunning down their families in revenge is a sin that is absolutely not allowed? Tough thing to do but right thing is never easy thing to do. May Allah give patience to parents and relatives. Troops on the ground would be needed. Alot of MLRS units would be needed. No point arming the tribals as thats a double edged sword. Diplomatic contacts with Arab and Central Asian countries asking them to control their citizens from coming into this region. On a side note, Maulana Abdul Aziz, the architect of the Lal Mosque fiasco, refused to condemn the Peshawar carnage. Isn't 'killing families of the enemy in revenge for own dead family' the logic these guys claim to be following? When did these guys become the shining example we follow? I really hope we can get their handlers and others who were part of this - at both the tactical and strategic level. I hope we don't shy away from naming all involved. Those who were martyred have been relieved, the actual trauma is for those children, staff members and their families who have become impared for rest of their lives. As if we the blood of 55000 Pakistanis was not enough, we still needed these 140 children to make the government lift moratorium on capital punishment. Its been more than a decade now and things are same as they were back in 2004. Forget the proxy wars for a while, have we managed to curb ethnic, sectarian and poliical terrorism that is rampant in Baluchistan, Karachi and in other parts of the country? Have we managed to regularise the curriculum of seminaries, have we managed to shut down the unresgistered seminaries? Have we trained and equipped our Police like we should have? Have we done anything to introduce a system of social security for those who become physically or mentally limited as a result of terrorists' attacks? Have we developed any rehabilitation centers for such impaired people? Have we managed to amend our evidence laws and implement them as per our circumstances? Have we stopped receiving dollars for opening seminaries to promote a cult? The list of such questions is endless and the answer is plain NO. The day we realise that the real fight against terrorism lies in our urban cities, in our neighbourhoods, I hope we'll get ourselves out of denial and at least do the things that we should have done a decade ago. The very definition of the word Kafir is one who is DEFIANCE of Allah SWT. The Holy Quran states that whosoever has killed one innocent person, it is as if they killed all of humanity. And whosoever saves one innocent person, it is as if they have saved all of humanity. These dogs killed 148 ppl including 132 innocent children. They have killed all of humanity 148 times over and the fires of hell will be waiting for them as they were in direct defiance of the words of Allah SWT on the Quran. The ullema including those of the Taliban itself, who wish to condemn this act should declare Jihad on these people who are worse than Kafirs they are Munafiq. All these other militant groups are condemning this act. The response should be clear. It is you who created the environment for such acts to occur. If you want to condemn this act then unconditionally lay down your arms end this facade. The environment of terror and violence that you have created must be brought to an end and if you do not, your condemnation is meaningless. You will be subject to the same jihad that these other dogs are. To the Afghans, hand over Fazlullah (you have admitted to helping him in the past). If not we will carry out hot pursuits into Afghanistan both by boots, gunships and fighter jets. Any obstruction of this hot pursuit by Afghanistan or ISF will be treated as an act of war and we will rain cruise and ballistic missiles on your militay installations. It is time to hit every beard jahil mullah molvi and their jahil supporters. Be careful of calling every mullah jahil. The overwhelming majority have come out strongly with the state including JI whose sect general was in favor of executing all these terrorists. So what if the person is beardless? Like most of the 911 hijackers?